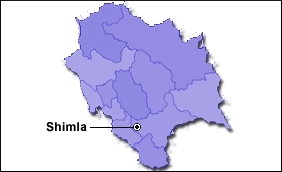 Himachal Pradesh Chief Minister Jai Ram Thakur on Friday conducted an aerial survey of the site proposed for the construction of an international airport at Balh in Mandi district along with a team of the Airport Authority of India. The team analysed the feasibility of landing of aircraft and the likely obstacles in the way before preparing a detailed report, an official statement said. The detailed project report would be submitted to the Union Ministry of Civil Aviation.